Exar® FX 7.5KV, is the medium voltage product line of our Irradiation Cross-linked Exar family. It maintains a small OD yet offers excellent thermal, toughness and varnish release advantages and maximizes flexibility over a very broad temperature range. 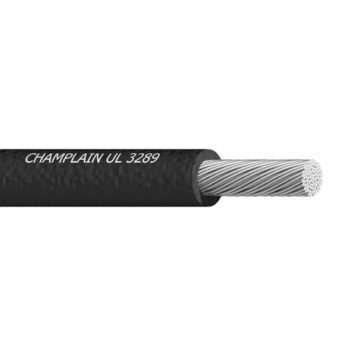 The end result is a wire or cable ideally suited to applications where a combination of flexibility, size and performance is required. Exar® FX 7.5KV represents the latest technology in composite insulation. This highly stranded copper has a semi-conductive covering and heat-defying Exar® 150°C insulation. FX has exceptional thermal performance that meets even the most challenging varnish bake requirements. UL Oil Resistance 60oC maximum.